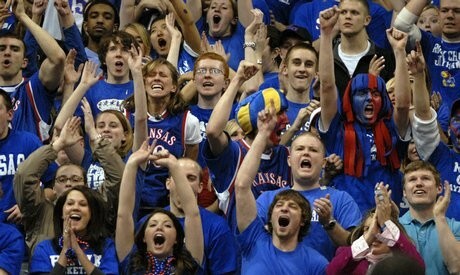 KU's world famous Rock Chalk Chant evolved from a cheer that a chemistry professor, E.H.S. Bailey, created for the KU science club in 1886.Bailey's version was "Rah, Rah, Jayhawk, KU" repeated three times. The rahs were later replaced by "Rock Chalk," a transposition of chalk rock, the name for the limestone outcropping found on Mount Oread, site of the Lawrence campus. 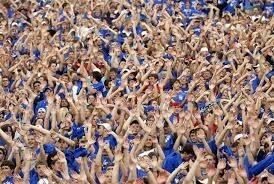 Sports fans have been doing "the wave" at stadiums across the country for years, but KU has its own version. At crucial moments — for example, when the football team scores or a basketball opponent fouls out — Jayhawks in the stadium lift their arms over their heads and slowly wave them back and forth. From a distance, this looks like a field of Kansas wheat swaying in a prairie breeze. 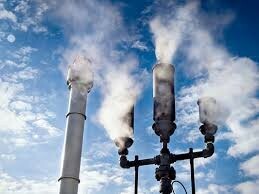 Imagine being awakened each morning by the squeal of a very loud whistle. KU students in the early 1900s were subjected to just such a thing. Originally, the steam whistle's intent was to get students up each morning at 7:45 (it also signaled when evening curfew began). But in 1912, that changed. Instead of serving as an alarm clock, it now would be used to signal the end of hourly classes. It's been that way ever since.